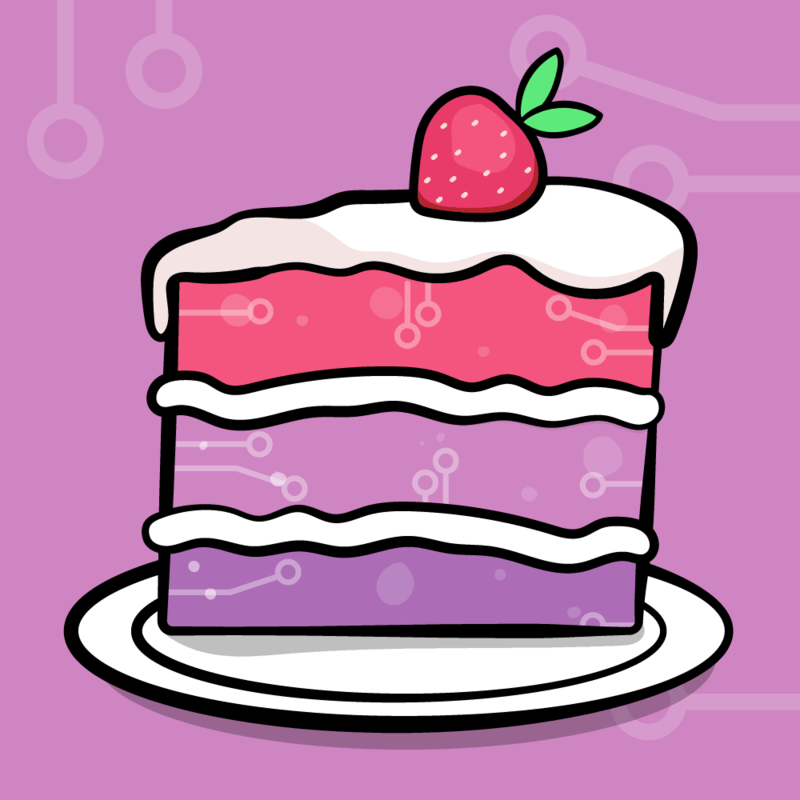 This is the first part of a three-part series to help get iPhone Developers up-to-speed with iPad development by first focusing on three of the most useful classes: UISplitView, UIPopoverController, and Custom Input Views. Let's Display a List of Monsters in a Split View! 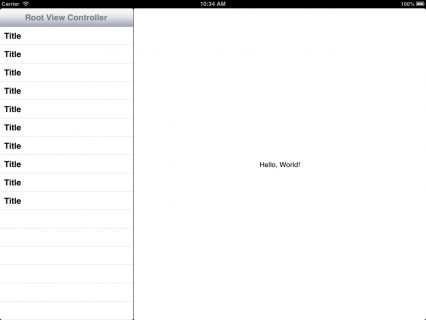 In this series, you’ll make an iPad app from scratch that makes use of all of the three most useful basic capabilities. 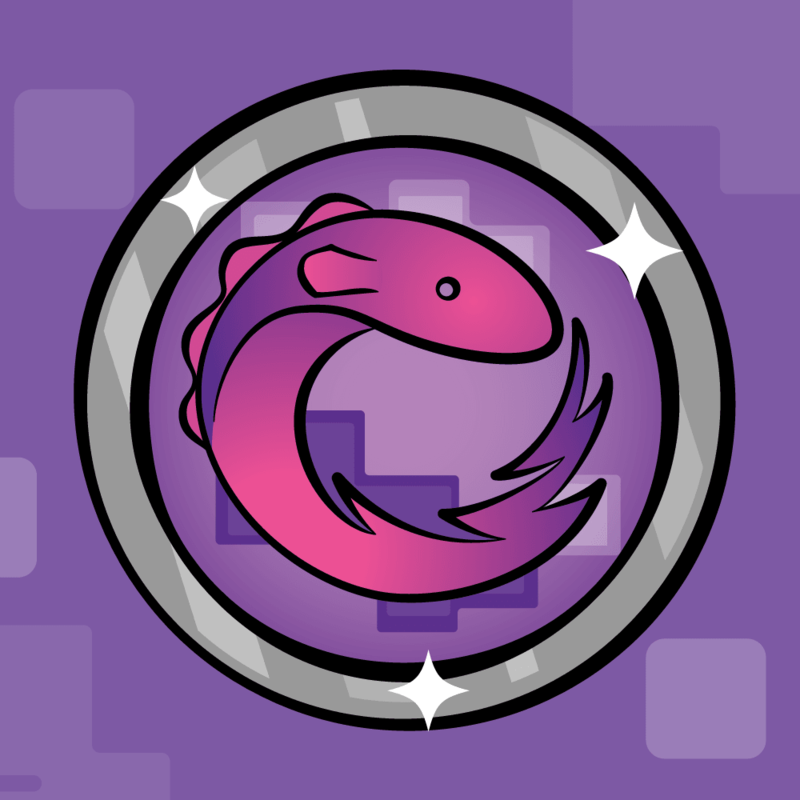 First, the app will display a list of monsters from one of Ray’s Cocos2D games in a split view. 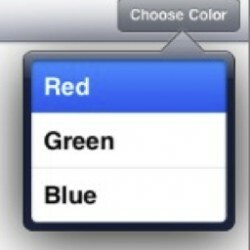 Then, you’ll change the color of a label using a popover view. Finally, you’ll be able to change a monster’s weapon by using a custom input view. By the end, you’ll have a good handle of some of the most important features of iPad development and will be able to hit the ground running! In iPad development, it would rarely make sense to have a full-screen UITableView like you do so often in iPhone programming – there’s just too much space. To make better use of that space, the UISplitViewContoller comes to the rescue. The Split View lets you carve up the iPad screen into two sections and display a view controller in each side. It’s typically used to display navigation on the left hand side, and a detail view on the right hand side. So let’s start making this! 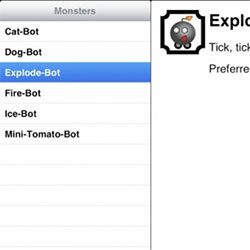 So create a new Project, and choose the iOS\Application\Empty Application template, and name the project MathMonsters. 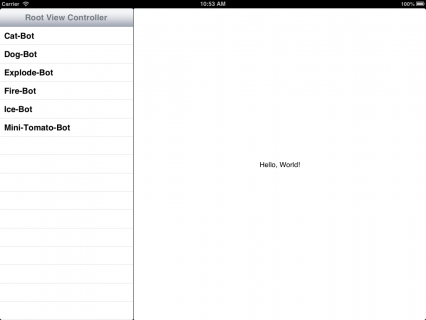 Choose iPad in the Product dropdown – Universal Apps is a topic for a later tutorial. Finally, make sure Use Automatic Reference Counting is checked, and the others are unchecked, and finish creating the project. You can go ahead and compile and run if you want, but all you’ll see is a blank screen at this point. You’ll want to create a Storyboard file – go to File\New\File… and select the iOS\User Interface\Storyboard template. Select iPad as the Device Family, and name this Storyboard MainStoryboard_iPad.storyboard. 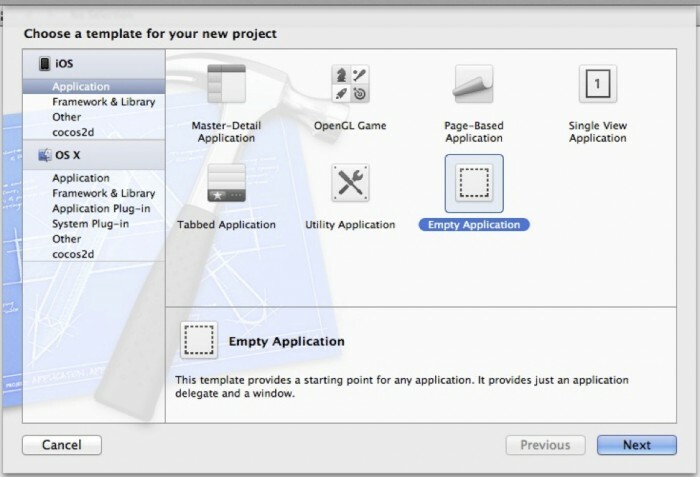 Next, select your project in the Project Navigator and scroll to the iPad Deployment Info section. 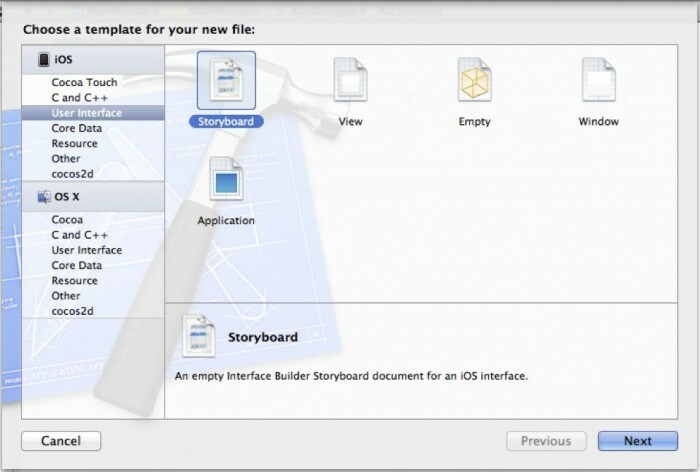 Then in the Main Storyboard entry, enter the name of your Storyboard: MainStoryboard_iPad. A Navigation Controller. This represents the UINavigationController that will be the root view of your Master View Controller (ie, the left pane of the SplitView). If you look in the Split View Controller, you’ll see the NavigationController has a Relationship Segue of “master view controller”. 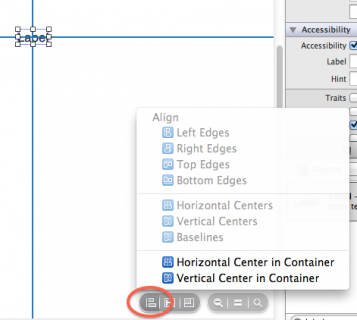 This allows you to create an entire navigation hierarchy in the Master View Controller without needing to affect the Detail View Controller at all. A Table View Controller Root View Controller. 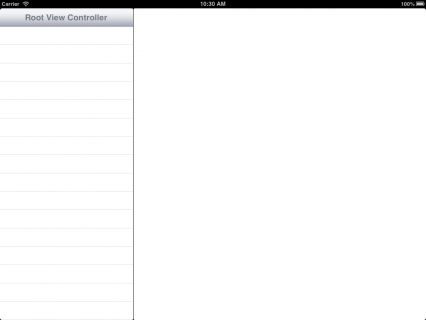 This is the rootViewController of the UINavigationController represented by the Navigation Controller. 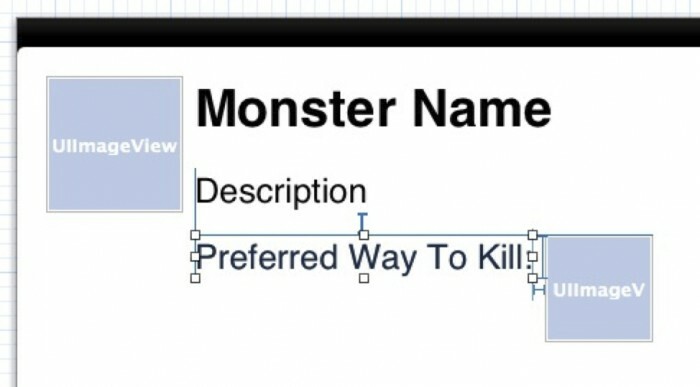 This will eventually be the view controller with the list of monsters. A View Controller. This will eventually display all the details of the monsters. If you look in the Split View Controller, you’ll see the View Controller has a Relationship Segue of “detail view controller”. Here you removed the placeholder code the template added to create an empty UIWindow. You don’t need this anymore because you configured your app to use a Storyboard instead. You’re going to want to have your own view controllers inside of here instead of these default ones, so let’s get started creating those. You’re going to make two view controller placeholders to put inside your split view – a table view controller for the left hand side, and a “plain” view controller for the right hand side. 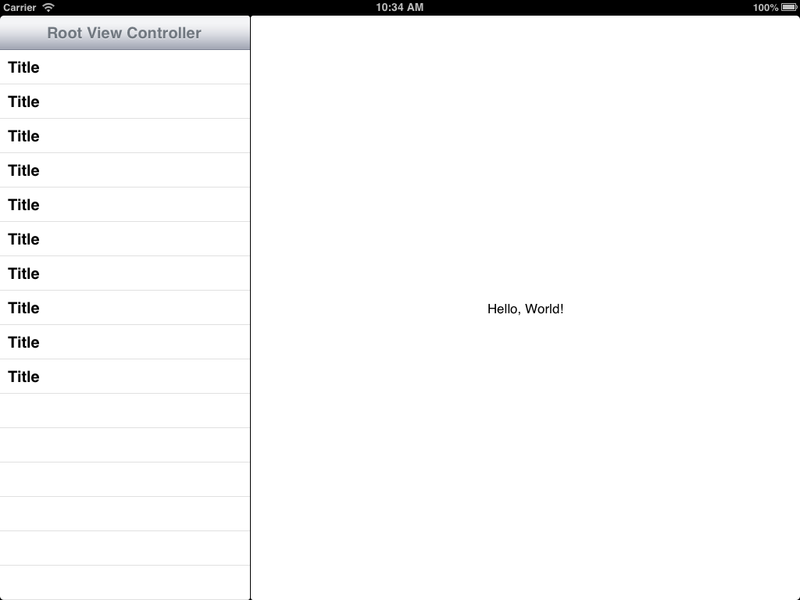 Let’s start with the table view controller. Go to File\New\File… and choose the iOS\Cocoa Touch\Objective-C class template. 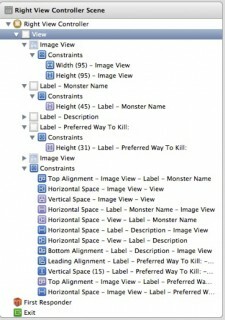 Name the class LeftViewController, make it a subclass of UITableViewController, and make sure both checkboxes are unchecked. Click Next and then Create. This way, you’ll just have 10 empty rows to look at when you test this thing out later. In addition, you need to make sure the Prototype Cell in the Table View is given a reuse identifier, or it will cause a crash when the Storyboard tries to load. Within the Left View Controller, select the Prototype Cell and then change the Identifier to “Cell” (which is already set as the default for UITableViewController subclasses in code), and the cell Style to “Basic”. Now, you’ll create the View Controller for the right side. Go to File\New\File… and choose the iOS\CocoaTouch\Objective-C class template. Name the class RightViewController, make it a subclass of UIViewController, and make sure both checkboxes are unchecked. Click Next and then Create. 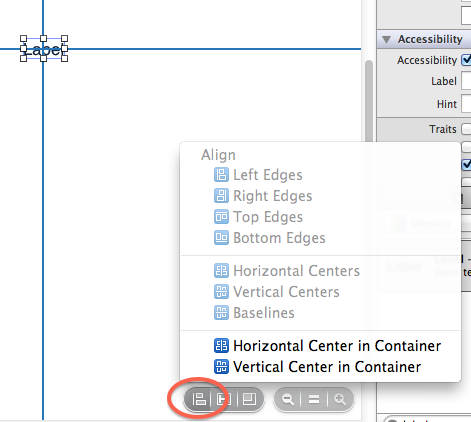 Then drag a label into the middle, and pin it to the Horizontal and Vertical centers of the container with AutoLayout. Change the text of the label to say say “Hello, World!” or something similar so you know it’s working when you test it out later. Note that if AutoLayout insists on pinning the width to something fixed that truncates what you’ve added, you can change the priority of that constraint to something less than 1000, and you should then be able to delete that constraint. The next thing you need to do is define a model for the data you want to display. You don’t want to complicate things, so you’re going with a simple model with no data persistence. First, make a class representing the Monsters you want to display. Go to File\New\File… and select the Cocoa Touch\Objective-C Class template. Name the class Monster, make it a subclass of NSObject. Click Next and then Create. //Convenience instance method to get the UIImage representing the monster's weapon. That’s it for defining the model – so let’s hook it up to your left side view! 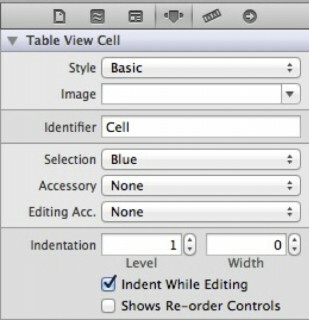 // In cellForRowAtIndexPath, after "Configure the cell..."
That’s it for the table view. Now let’s just populate it with some default monsters! First, download some art from one of Ray’s Cocos2D games. Drag the folder containing those images into your MathMonsters folder in Xcode, making sure Copy items into destination group’s folder (if needed) is checked, then click Add. After you add the images, open up LeftViewController.m and replace initWithStyle: with an initWithCoder: method setting up the array of monsters. Note that you are replacing initWithStyle: with initWithCoder: because this class is being loaded from a Storyboard. //Initialize the array of monsters for display. 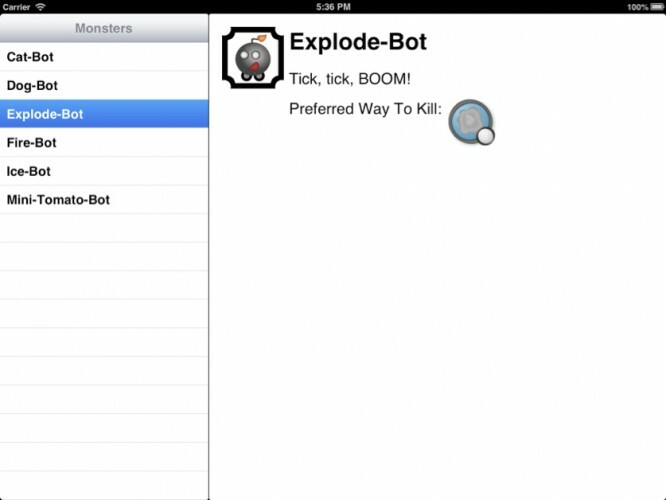 Compile and run the app, and if all goes well you should now see the list of bots on the left hand side! Next, let’s set up the right hand side so you can see the details for a particular bot. Open MainStoryboard_iPad.storyboard, go to the Right View Controller and delete the placeholder label you put down earlier. A 95×95 UIImageView for displaying the Monster’s image in the upper left hand corner. A UILabel aligned with the top of the UIIimageView with height 45 and font Helvetica Bold, size 36. Two UILabels underneath of height 31, with font Helvetica, size 24. One should be aligned with the bottom of the UIImageView, the other should be below it. They should have their leading edges aligned. A 70×70 IImageView for displaying the weapon image, aligned with the trailing edge of the “Preferred way to Kill” label. Make sure the width and height of the ImageViews are pinned or they’ll stretch on rotation. Make sure the width of the UILabels next to the monster’s image view is not pinned – otherwise your text may get truncated. Having the height pinned is fine (and probably necessary). Try to use Align Edges as much as possible so the views’ positions depend on each other rather than on the superview’s position. Getting AutoLayout using the proper constraints is especially important for the iPad since apps are required to handle autorotation properly for any orientation. Note: Auto Layout can be a slippery devil! I highly recommend you check out our Beginning Auto Layout tutorial series if you run into any trouble. Here you added properties for the various UI elements you just added which need to dynamically change. You also added a property for the Monster object this view controller should display. Note that the IBOutlets are being retained weakly – they’re also being retained by the xib embedded in the Storyboard. //Make sure you're not setting up the same monster. //Update the UI to reflect the new monster on the iPad. Now, go back MainStoryboard_iPad.storyboard, right click the Right View Controller object to display the list of IBOutlets, then drag from the circle at the right of each item to the view to hook up the IBOutlets. 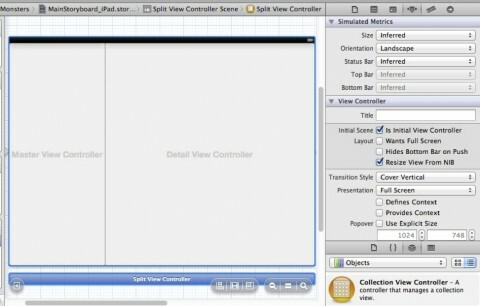 A split view controller has a property named viewControllers array that has the left and right view controllers inside. The left view controller in your case is actually a navigation controller, so you get the top view controller from that to get your LeftViewController class. Note that selecting the monsters on the right does absolutely nothing, however. That’s what you’ll do next! There are many different strategies for how to best communicate between these two view controllers. In the Master-Detail Application template, Apple gives the left view controller a pointer to the right view controller, and the left view controller sets a property on the right view controller when a row gets selected. The right view controller overrides the property to update the view when the property is updated. That works fine for simple applications where you only ever have one ViewController in the right pane, but you’re going to follow the approach suggested in the UISplitViewController class reference for more complex apps and use a delegate. 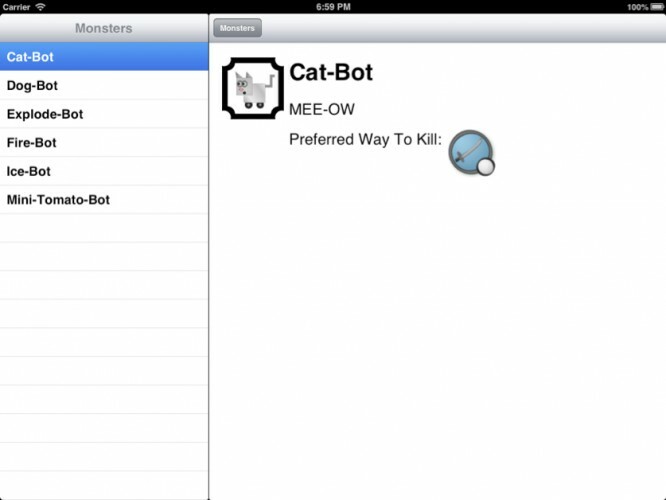 The basic idea is you’re going to define a protocol with a single method – “selectedMonster:”. Your right hand side will implement this method, and your left hand side will accept a delegate of an object which wants to know about this. So let’s see this in code. First, create the file for the MonsterSelectionDelegate by going to File\New\File… and selecting the iOS\Cocoa Touch\Objective-C protocol template. Enter MonsterSelectionDelegate for the protocol, click Next, and then Create. Basically, this means that the delegate property is required to be an object that has the selectedMonster: method implemented. That object will be responsible for handling what needs to happen within its view after the monster was selected. Next, you need to go into LeftViewController.m and update the didSelectRowAtIndexPath to notify the Monster selection delegate of the new monster. //Set the RightViewController as the left's delegate. In case you’re wondering what the advantages are of using a delegate broken out into a separate file, note that there are no imports between the left side view and the right side view. This means that it would be a lot easier to re-use these views in other projects or swap out the views with other views, since you’ve been quite clear about what each one expects. So far so good with split views! Except there’s one problem left – if you rotate the simulator to vertical orientation, you can’t see the list of monsters anymore, so you have no way to switch between them. Luckily, Apple has given us an easy way to remedy this – the Split View Controller delegate. 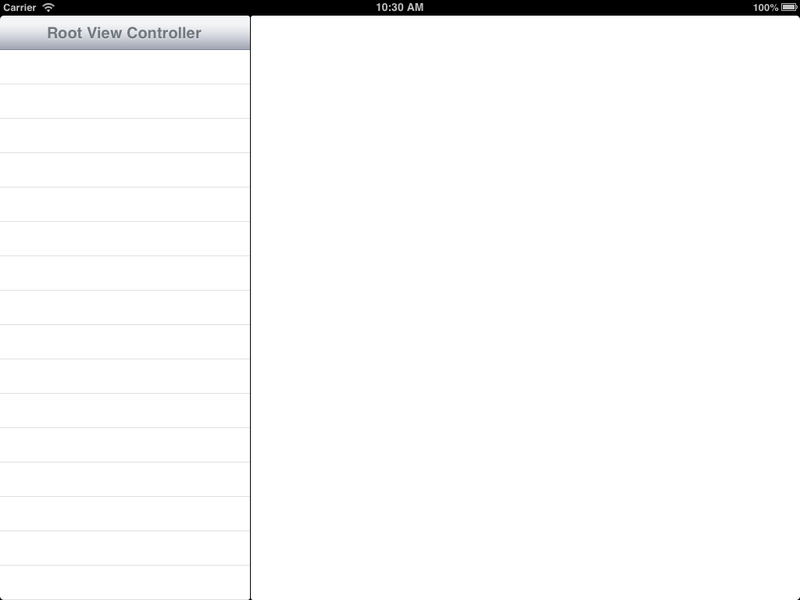 Just like many clases in iOS, the Split View Controller can notify you when interesting things occur. All you need to do is register your class as the delegate. Now that you’re getting notifications when the split view controller is showing and hiding the left hand side view controller, you just need to add some code to add a button into the toolbar so the user can take a peek at the left hand side view controller, even when the iPad is in portrait mode. You may have noticed that the delegate methods pass you a handy UIBarButtonItem you can add to the toolbar to use to display the left hand side in a popover. All you need to do is add this button to your toolbar or navigation bar. So let’s give this a try. Open MainStoryboard_iPad.storyboard, find the Right View Controller, and drag a UINavigationBar to the top of the view. You will probably have to move everything else down a bit – you should be able to preserve most of your existing constraints. Pin the Vertical Spacing of the navigation bar and the iconImageView to make sure the other views will stay below the toolbar properly on rotation. 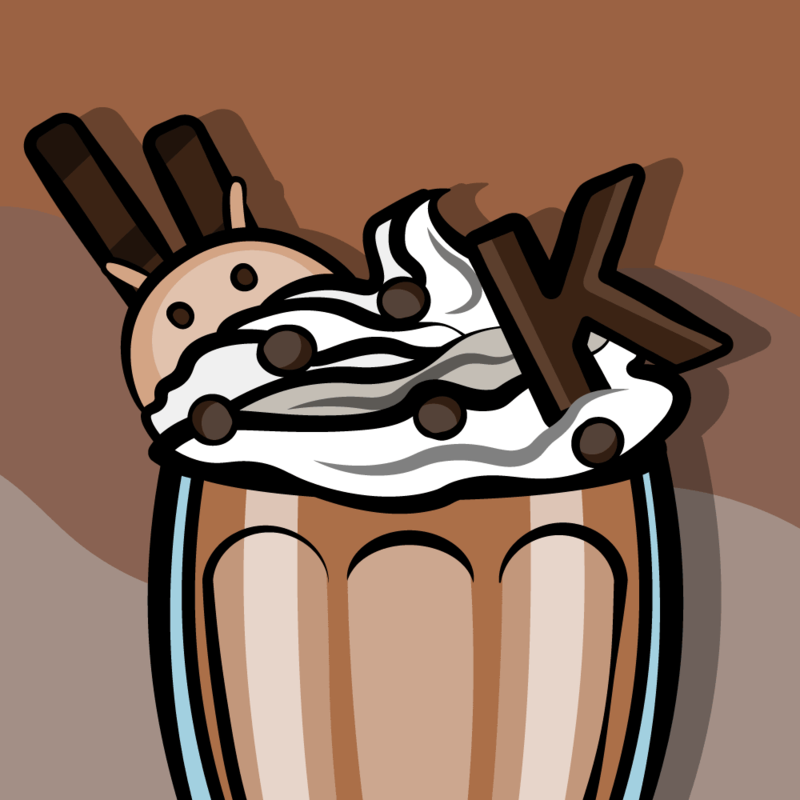 //Dismisses the popover if it's showing. //Nil out the pointer to the popover. Note: If you want to the button showing/hiding and the sidebar coming into and out of the frame in action on the simulator, you can go to the Debug menu and select “Toggle slow animations”, and you can watch the view button show and hide automatically. Note that the popover that shows for a UISplitViewController is a little unique – it slides out like a drawer. Most other popovers you deal with will be more like those in part 2 of this tutorial, where there’s a border and an arrow pointing at a button. In this project, you’re using a custom view with a static UINavigationBar on the right hand side. However in your projects, you might want to use a UINavigationController on the right side instead, to allow you to navigate further views on the right. How can you set it up so that the bar button item goes into the UINavigationController’s toolbar? Note that if your UIViewController is not in a UINavigationController’s View Controller stack, navigationItem will be nil. Here’s an example project with all of the code you’ve developed so far. 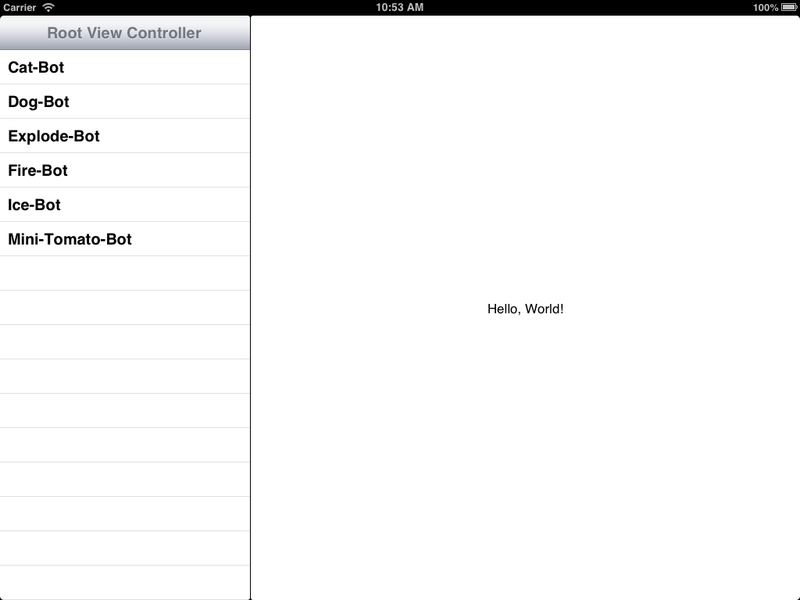 So – that’s how you can use UISplitViewController, from the ground up. Note in practice you’re likely to just use the Master-Detail template to save time – but now you should know much better how it works. 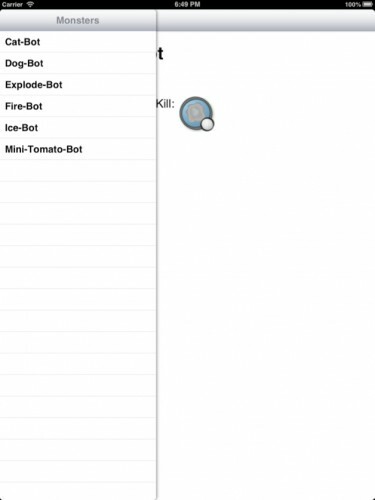 Continue on with the next part of the series, where you’ll learn how to use popovers on the iPad! Or if you have any questions or comments, please join the forum discussion below!